What Does Your Library Stand For? 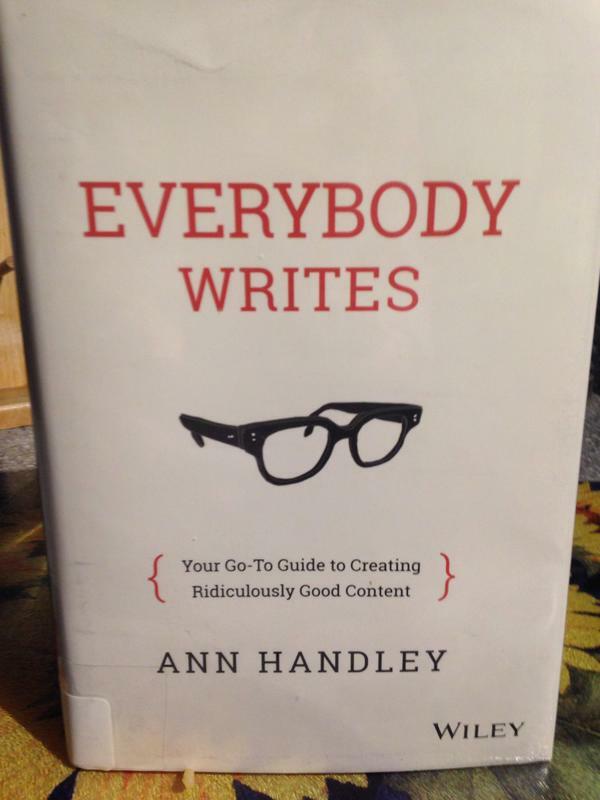 Advice From Ann Handley – Super Library Marketing: All kinds of marketing ideas for all kinds of libraries. Lucky for me, I came into marketing during a time when good writing is viewed as a necessary, relevant, and effective way to add value to consumer’s lives. Marketers are moving past the catch-phrase, one-line, ad-jingle variety. Today’s audiences demand witty, sharp, insightful work that inspires and motivates. Challenge accepted. 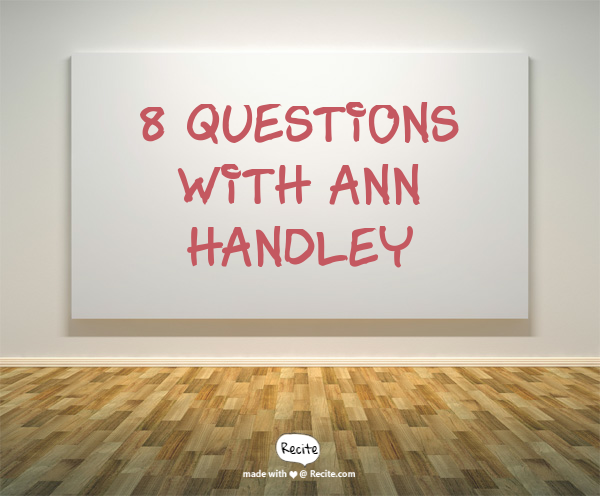 About six months ago, I heard a podcast interview with Ann Handley (I can’t remember exactly which podcast but I think it was Social Media Examiner.) Ann is a veteran of creating and managing digital content to build relationships for organizations and individuals. She is the Chief Content Officer of MarketingProfs; a columnist for Entrepreneur magazine; a LinkedIn Influencer; a keynote speaker, mom, and writer. Here’s why everybody loves Ann-she doesn’t sugar-coat the writing process. She admits it’s hard work. She has faced those angst-filled moments when a blank page is staring you in the face and you’ve literally got your head on the table, moaning “Dear God, why am I even here!” She shares easy-to-understand tactics for dealing with that anxiety. She believes everyone can write. She speaks to her readers on their level. You can read the first chapter of her book and start implementing her advice right away. No fluff. No bull. No pretension. I devoured Content Rules in about three days. Everybody Writes literally arrived on the holds shelf yesterday. Just this evening, I’ve read the foreword, the acknowledgments (yep, I’m one of those people) and the first two chapters. I actually hadn’t figured out what I wanted to write for the introduction to this interview, but I ran for my laptop after finishing those first two chapters. Ann inspires me. How is that possible with someone I’ve never even met? That’s the power of the written word done right. I’m grateful to Ann for taking the time out of her busy schedule to answer my questions about library content marketing. Ann is fan and supporter of libraries and even served on a library Board of Trustees. I encourage you to read her books. There’s no way you’ll ever be more of a super-fan than me though, so don’t even try. One of the big points you make in “Content Rules” is that you have to find your brand’s voice. I think many libraries have a hard time doing this–they feel like they need be all things to all people. Are there some questions libraries can ask themselves in order to find their voice? Ann Handley: The question libraries need to ask is the same question we all need to ask ourselves, on behalf of our own organizations: What do we stand for? For example, the New York Public Library says it is “on a mission to inspire lifelong learning, advance knowledge, and strengthen communities.” Then, use that to craft your content strategy and voice, and identify key themes that you can “own,” for lack of a better word. You can see how the NYPL does that on its wildly popular Instagram feed. Our industry is all about the promotion of stories and yet somehow we struggle to find compelling stories that spur our audience to action. I think in some ways libraries take their evangelists for granted. How do you go about taking library cardholders on a journey through storytelling that leads them beyond that generic “I love the library” feeling? Ann Handley: This relates to the finding what you stand for in the previous question, because it’s all about inspiring people to connect with a mission. The #Shelfies movement is a great example of that, when the NYPL asked book lovers to submit photos of their personal bookshelves or favorite library shelves to profess their love of books, and the role they play in our lives. The response was impressive: More than 1,200 Instagram posts and 1,700 tweets from 11 countries in 6 languages. Your best content is not about what you do or what you sell – but what you do for others. Good content doesn’t happen in a vacuum. It has everything to do with the experience you are creating for those you serve. Does that sound high-minded? It’s really not – it’s about getting comfortable embracing what makes your organization unique. Libraries often struggle to fill the content demands with a small staff and an even smaller budget. Can you talk a little about how we might use repurposing to help ease those demands? Ann Handley: Repurposing or reimagining existing content in new forms is a potentially rich source of content, especially at libraries with long histories. What’s in your archives that you could reimagine as blog fodder? What’s in your history that’s relevant to patrons today? What’s commonplace to you that might be interesting to others? “What already exists is an inspiration,” as the designer Michael Wolff says. Also, creating a culture of content can help, because it empowers people to create content on behalf of your organization. Those who maintain the NYPL’s Instagram feed aren’t in “marketing.” But they are great at visual storytelling. Curating the content others produce is a fantastic way to augment your content efforts. Said another way: Crowdsource, don’t create. A year or so ago, my MarketingProfs team bonded after hours at Bowl and Barrel, a Dallas-based bar and bowling spot. I shared a photo from there because it’s what I do when I’m in a ridiculously photogenic place: the interior brickwork just begged to be Instagrammed. So I did, and I geo-tagged the location. A day or so later, Bowl & Barrel featured my photo (with full credit) on its burgeoning Instagram feed. Library employees are surrounded by books, they host author visits, but they may not feel comfortable writing. How do you get over that fear and get something on the page? 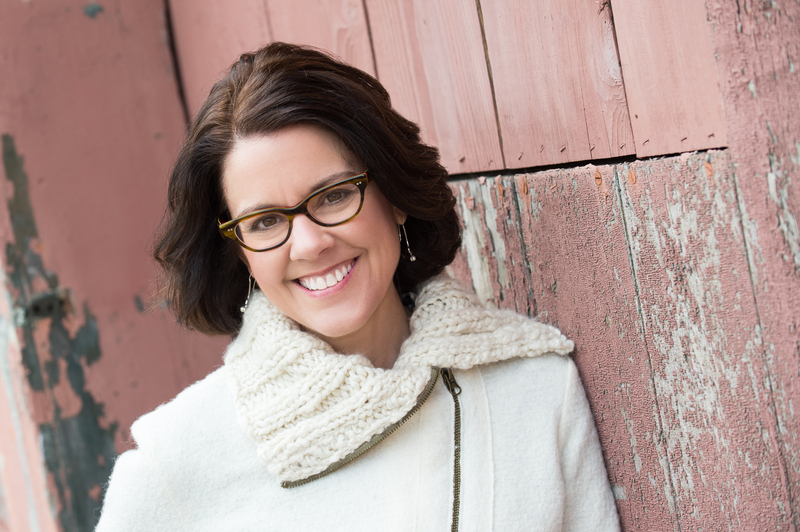 Ann Handley: Librarians who don’t love words…? Is that really a thing?! Fear of the blank page is a real thing, which is why I wrote a whole book about it! (Everybodywrites.com) How much space do we have…? Do you have any examples of libraries that are doing great content marketing which the rest of us could learn from? Ann Handley: I mentioned the NYPL already. I also like what the Cincinnati Library is doing on Pinterest, as an extension of its in-house “Maker” programming. (Thanks Ann!) The NYPL does some cool stuff on Pinterest, too, especially its Little Lions board. You’ve served on a library board of trustees. Tell us a little about how you got that gig and what you learned about libraries from that service. Ann Handley: A friend of mine was on the board, and he recommended me. That’s not a very interesting story, is it? I said yes because I always loved libraries. I grew up visiting our town’s tiny library weekly, and carrying a stack of books to and fro became a ritual that, as I think back on it now, almost defined my childhood. The excitement of discovering new titles on the shelf. Getting my first library card. Meeting new friends in the pages. Reading about places far away from my insulated suburban world. My goal to read every book in the Children’s Section before moving across the aisle to Adult’s (I didn’t quite accomplish that)… well, all of it thrilled me. I’m guessing you and your readers know exactly what I’m talking about? Later, I replicated that ritual with my own kids. Libraries have changed a lot since I was a child visiting with my mother. Children’s sections with giant stuffed animals that kids flop on? Movie nights? Wii parties in the teen room? Coffee hangouts? Libraries are more cultural and community centers than they are just about books. Ann Handley: Beside my bed is #Girlboss by Sophia Amoruso. I gave it to my teenage daughter for Christmas, and so I picked it up when she was done. It’s ok. I’d give it 3 out of 5 stars and one of those stars I’m giving just because I admire anyone who has the tenacity to write a book. Writing a book is truly like birthing a Honda Civic: It’s hard work, and you sweat a lot, and most of the work is done while crying. Ann Handley: Poke your nose out. No one is going to invite you. Connect with me on Twitter. I’m @Webmastergirl and LinkedIn. I’m also on Instagram and Pinterest. “Content rules” è stata una lettura piacevolissima. Cercherò di leggere anche “Everybody writes” (in realtà l’ho appena ordinato). Ma, soprattutto, mi piace quando in maniera molto semplice si affronta il problema dell’importanza di creare una “cultura del contenuto”. Che è una cosa che mi interessa moltissimo e su cui sto cercando di ordinare un po’ di pensieri sparsi negli anni.